If you ever wanted to take a glance at the Galaxy Note 9 and decide if you are going to upgrade to the upcoming premier flagship, here is your best chance to make it all happen. 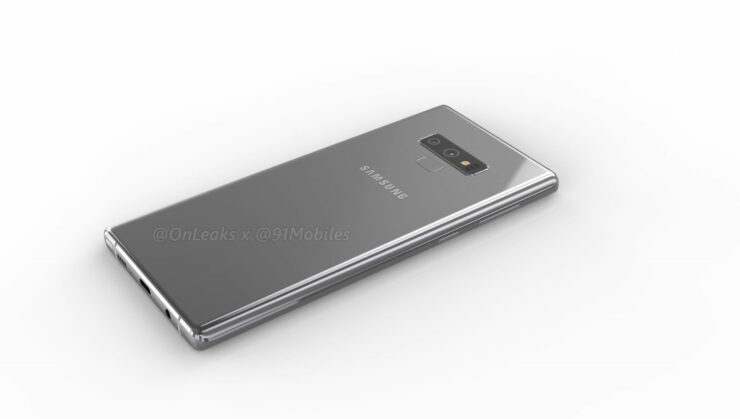 Popular leakster OnLeaks has managed to leak the Galaxy Note 9 renders, showing the upcoming flagship from all four sides. He, along with 91mobiles have showcased the device based on factory CAD drawings. 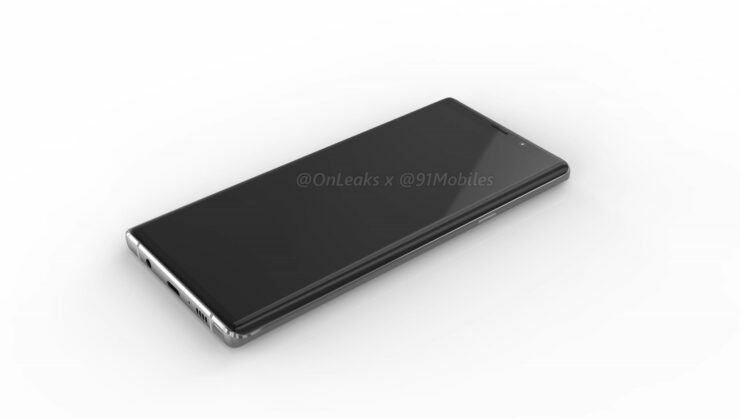 With these renders, we will be able to see all four ends of the smartphone and if you want a closer gander at the flagship, there is a video provided at the bottom. 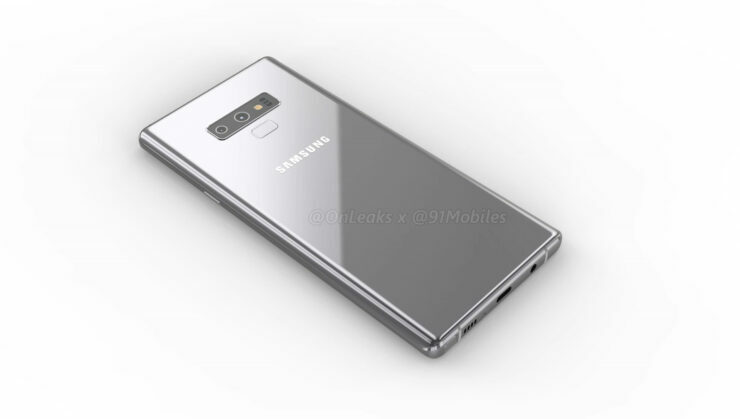 Looking at the renders you can see that the Galaxy Note 9 will not be drastically different from its predecessor. 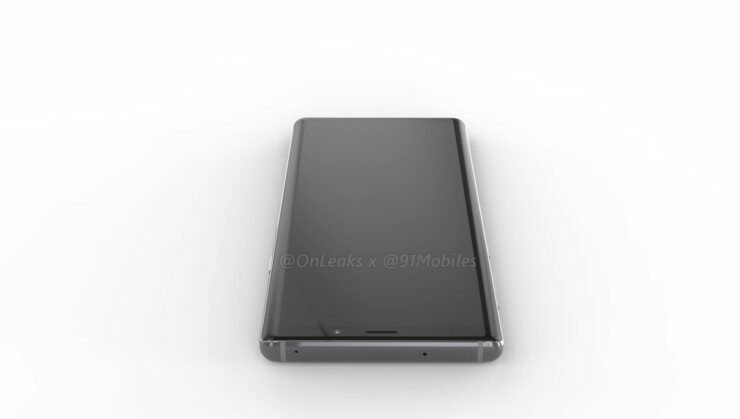 The front of the phone is a lot like that of the Note 8. The only difference is the top and bottom bezels which look slimmer. The phone’s side hasn’t also undergone a lot of changes, including the top and the bottom of the phone that contains the speaker grille, a USB Type-C port, a 3.5mm headset jack, microphone, and the ever-popular S Pen stylus, which is said to feature its own exclusive upgrades. The design on the back of the Note 9 has been changed. 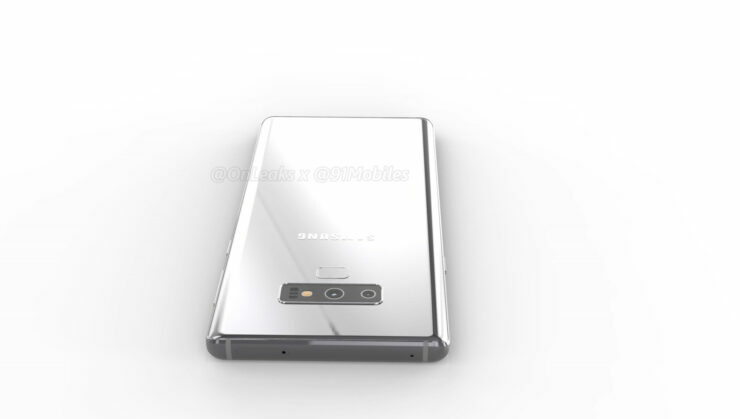 The two cameras at the back of the phone have been aligned horizontally, which is similar to the orientation of the Galaxy Note 8, but cameras are likely to be more enhanced. The fingerprint reader is right below the cameras. 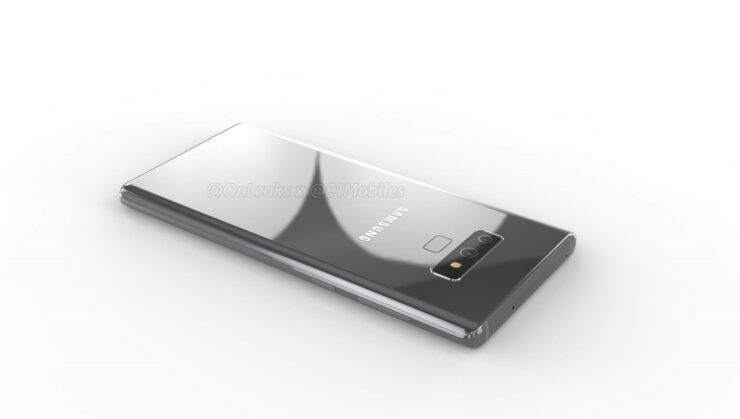 If the renders are indeed accurate, the fingerprint sensors corroborate the rumors that the Galaxy Note 9 will not have in-display fingerprint scanner after all. This will be quite surprising as the on-screen fingerprint sensor tech is ready and used by several companies. 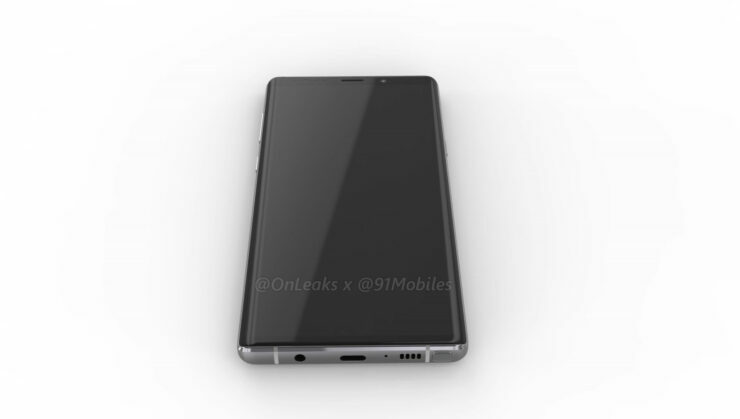 Apparently, the dimensions of the Galaxy Note 9 are 161.9 x 76.3 x 8.8 mm. 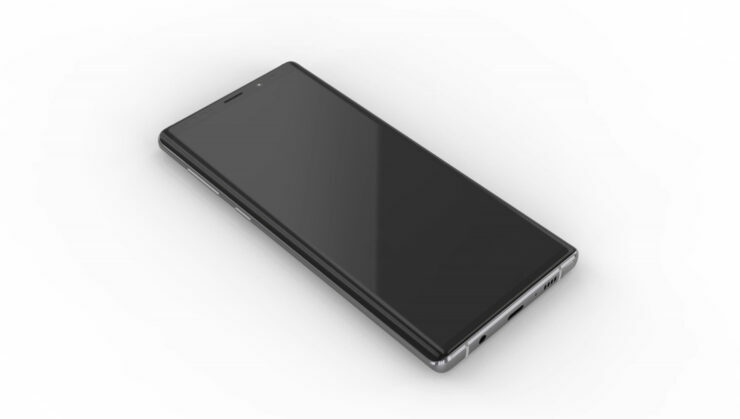 This means it will roughly be the same size as the Note 8 that measures 162.5 x 74.8 x 8.6 mm. 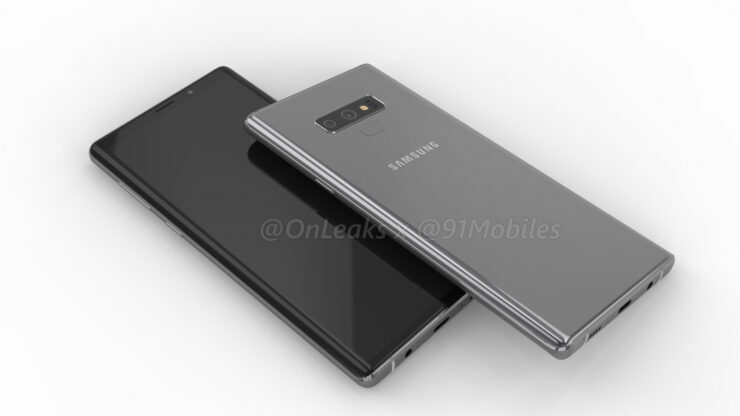 The Galaxy Note 9 will have a 6.3-inch Super AMOLED screen with a 2960 x 1440 resolution. However, some rumors are claiming that the upcoming flagship could have a 6.4-inch display for increased screen real estate. 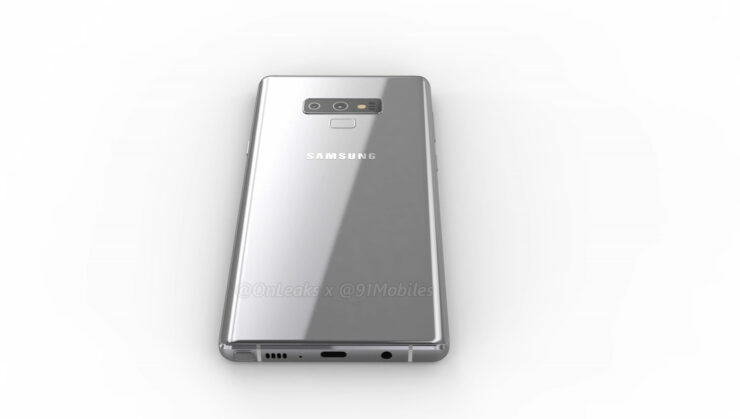 The U.S. version of the Galaxy Note 9 will obviously have the Qualcomm Snapdragon 845 SoC since the chipset manufacturer does not something with a bit more kick in the pipeline. 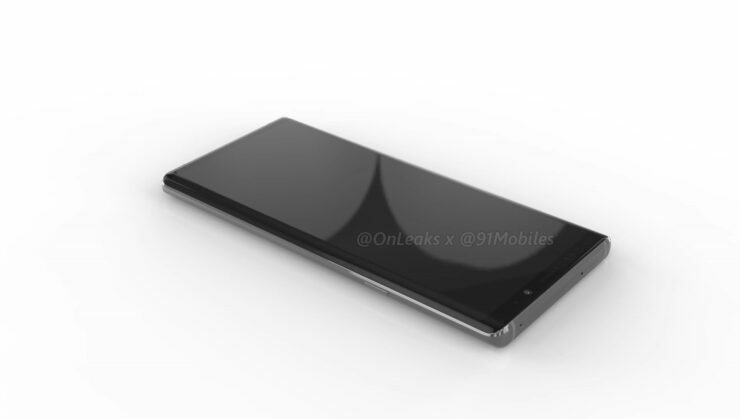 Additionally, it will have a battery capacity that is in the rage 3,850-4,000mAh battery. Samsung is reportedly going to announce the Galaxy Note 9 on August 9 and we’ll be here to provide you with up-to-date on its announcement plus other details.